The Powerhouse Gym of Grand Haven is hosting a Zumbathon event on November 10 to support the Ottawa Sands campaign. A Zumbathon is a dance party with several different instructors teaching and participants dancing for all or any of the scheduled time. $10 per person. All proceeds are earmarked to be given to the Land Conservancy to help secure funding for the Ottawa Sands Park. Can’t make it, but would like to support the campaign? Click here. Did you know? 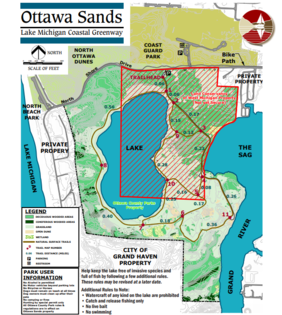 Ottawa County Parks was only able to secure half of the funding needed to purchase Ottawa Sands. 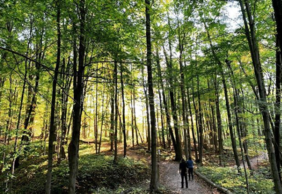 The Land Conservancy of West Michigan secured a $4 million loan to purchase and temporarily hold half of the property for us. Now the loan must be repaid to protect all 345 acres of Ottawa Sands and ensure access for all. To complete the project, public support is needed. 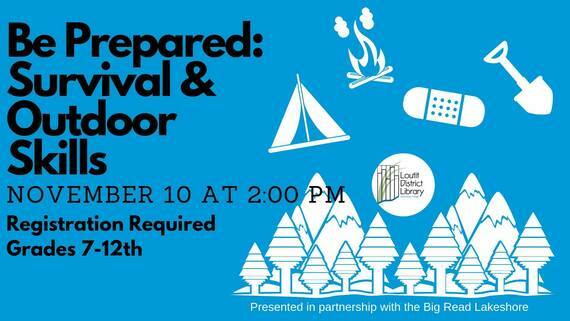 Come and learn basic first aid, safety, and outdoor survival skills at the Loutit Library. Best for grades 7-12. Each fall, millions of monarch butterflies from the United States and Canada embark on an arduous journey to the forests of Michoacán, Mexico. 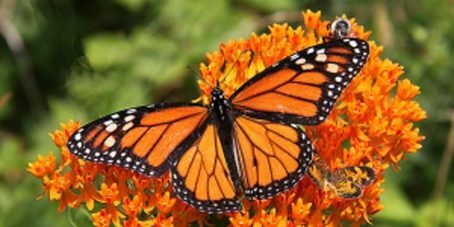 During this incredible journey of more than 2,000 miles, monarchs encounter countless obstacles. Join Dr. Stephen Malcolm, chemical ecologist and professor in the Department of Biological Sciences at Western Michigan University, as he explores how and why monarchs migrate and the impact of the threats they face as they negotiate ecosystems dominated by human activities. When we think of birding, we often think of spring, of singing birds and nesting. However, the excitement of birding can be experienced at any season! Curtis Dykstra, Parks Naturalist with Ottawa County Parks, will introduce you to some local winter-time birding hotspots and the birds you should be looking for. Michigan's 14th Biennial Michigan Big Tree Hunt contest is underway! Join us on a walk to learn how to be involved in this statewide effort to track vital and historical living tees and how to measure and record your own big trees Ottawa County. 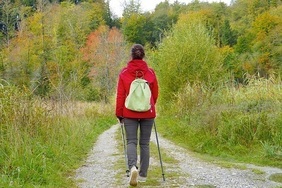 Have you ever carried work/home stresses with you into the woods? Join us as we take advantage of a cool fall evening to learn some mindfulness activities designed to get you in touch with nature. Join us at for a morning of watching migration along the shores of Lake Michigan! 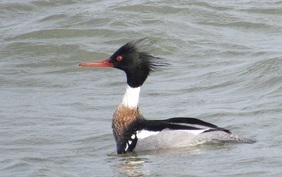 Waterfowl, gulls and more will be the focus of this stationary bird outing. Recreational passport required to park at Holland State Park. Feel free to join us at any time. Owls fascinate and amaze us with their nocturnal lifestyles. 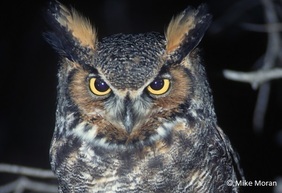 Venture into the amazing world of our local owls by learning their natural history and identification along with some intriguing facts on how they function at night. The Wildlife Encounters series aim to introduce people to the amazing natural history of the wildlife found in our own yards, parks and region. These 30-45 minute presentations are geared for older children and adults. An optional guided nature hike or local field trip will follow after the program. Thinking of giving a telescope as a Christmas gift? 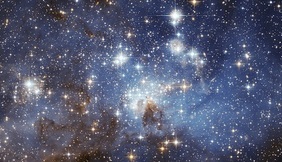 Come and learn telescope basics to help you pick the right instrument for the lucky recipient. After the presentation, the Shoreline Amateur Astronomical Association (SAAA) will have telescopes available for observing the fall skies (weather permitting). 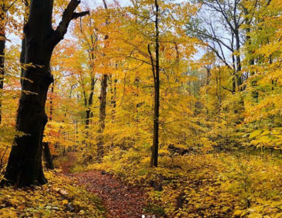 Get out and enjoy the fall colors as you venture ALL THE WAY THROUGH these amazing parks! A guide will lead you through, so you'll have all the more reason to soak in the beauty and uniqueness of each park. Whether you are an avid birder or are just desiring to experience birds beyond your backyard, join us as we walk for warblers and search for sparrows on these birding walks highlighting parks all around the county. Easy to moderate terrain includes some paved walkway and some dirt and mowed grass pathways. Waterproof footwear may be helpful on dewy mornings. A monthly program designed especially for our littlest visitors! Miss Jessi invites Tots age 0-3 years, along with a caregiver, to explore our natural world with various books, music and movement, age appropriate activities, and of course, a group walk along a stroller and wagon friendly path. Each month will bring new adventures and discoveries as the seasons change! 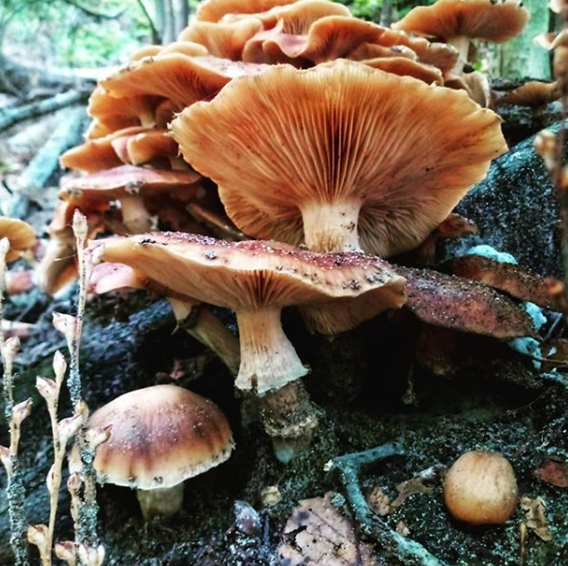 Fall Fungi by_@rebeccarotzell Share your photos with us via Facebook or Instagram (@ottawacountyparks // #ottawacountyparks). 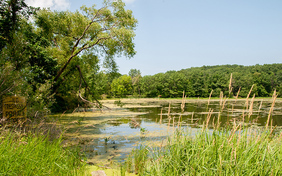 Visit miOttawa.org/parks to learn more about the 6,530 acres of parks and open spaces available for your enjoyment. Operations, improvements, and programs are funded by grants and a parks millage. If you own a $150,000 home, you invest $26 annually in opportunities for outdoor recreation and nature education today and for future generations. Thank you!